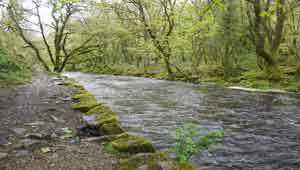 Two delightful walks with dramatic scenery following the meandering River Taw. This most scenic walk follows the cascading river Taw all the way to the quaint and ancient village of Belstone,known for its stocks and pub. A From the Finch Foundary walk towards Taw River Inn pub and continue along main road. B Just after crossing the river Taw turn right onto bridlepath and follow the Tarka Trail. Parts of the path are quite rocky demanding strong footwear. D After crossing the river continue to next bridge. Cross river again and continue with river on your right. E The path turns inland for a short while then loops right ,up a grassy hill towards Belstone. The views here are quite magnificent. F Walk into Belstone past stocks,church and pub. At the T junction turn right then left onto a public footpath. G When you reach a lane turn right. 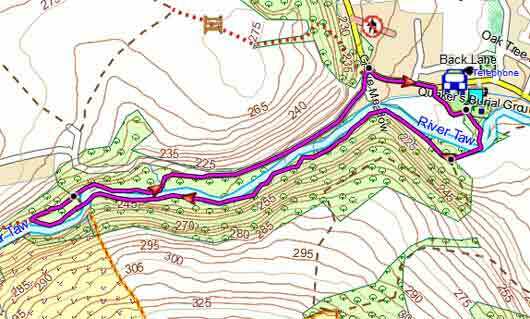 Ignore first footpath on right but continue for 200m and almost at the end of a wooded area take footpath right . At the end of the path turn left into a lane. H Take bridlepath on right and follow a bluebell and ramson lined track back to Sticklepath. 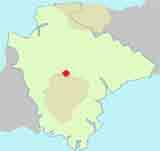 Popular pub walks to Okehampton Castle & Belstone. 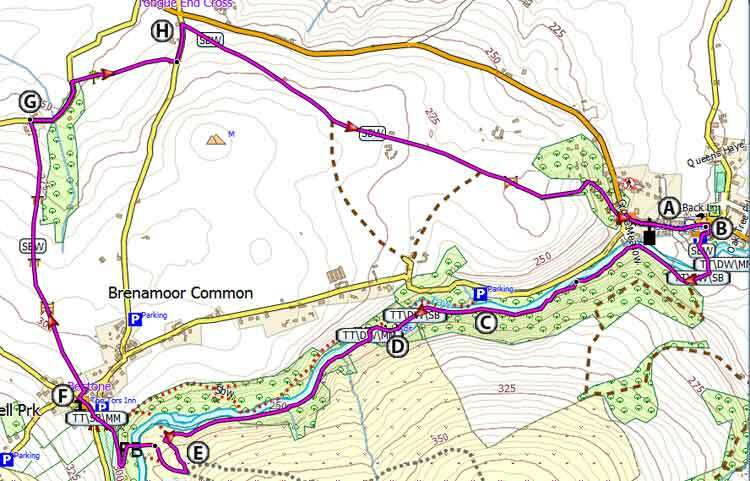 Three delightful walks near Castle Drogo,Drewsteignton ,ideal any time of the year! A very pleasant walk,most of it on footpaths,following part of the Tarka Trail along the river Taw towards Bondleigh church. Parts of the path along the river are quite rocky demanding strong footwear.